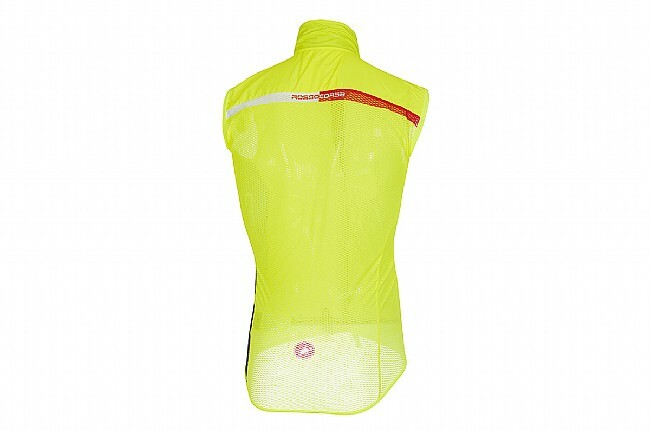 Weighing about the same as two energy gels, the Men’s Pro Light Wind Vest from Castelli is remarkably lightweight at only 81g. It’s compact too, occupying about the same space in your jersey pocket as a couple of gels or a protein bar so you don’t have to sacrifice valuable pocket real estate. 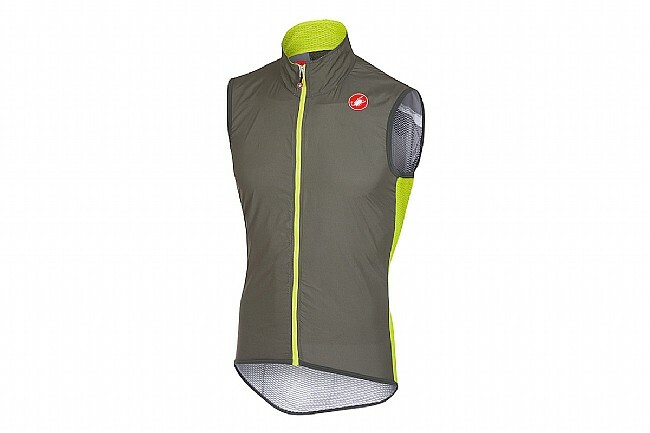 Yet, with densely woven polyester fabric on the front panel and shoulders, this vest delivers powerful wind resistance, far beyond what you’d expect from such a slender article. The back panel is composed entirely of mesh for ample cooling and all-around airflow. Ultra lightweight at 81g; weighs about the same as two gels. Densely woven polyester on front & shoulders. Full mesh back panel for maximum cooling. Ideal temp: 58 to 68°F (14 to 20°C).